If you would like to display several images on a webpage, rather than making the user scroll down the page to see a lot of separate images, you can add an effective image slideshow which cycles through several images without making your user leave their position on the page. Take a look at the example below which cycles through three images and then repeats the slideshow. If you would like to add an image slideshow to your page then you can use the code below. You can modify the code if you’d like to add transition effects (eg. fade) or navigation buttons (eg. pause, back, forward). This code is free for you to use and modify as you wish. In this tutorial, we will look at how to align images using HTML5 and CSS. There is an align attribute for the img tag, however this is not compatible with HTML5 so we will look at aligning images using CSS instead. If you want to align an image to the middle of a page, then you can use the CSS vertical-align property. You could use it in inline CSS code or in a stylesheet. To align an image to the middle of the page, you give the vertical-align property a value of middle. This tutorial explains how to create horizontal lists and use list items as links in order to create a horizontal navigation bar. The result will look like the image below. You could then go and add some CSS styling to turn this into a nicely themed navigation bar. Watch the video below (or click here to watch it on YouTube) and then scroll down to see the code. 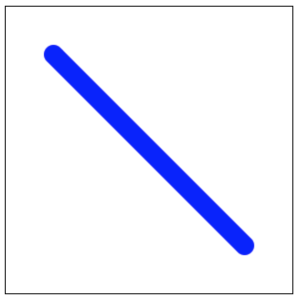 This tutorial explains how to use the colspan and rowspan properties in a table. These properties allow you to spread a cell over multiple columns or rows. 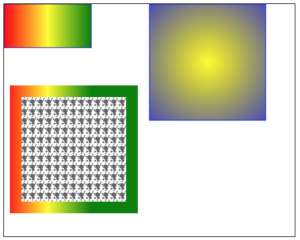 The images below show how the rowspan and colspan properties can be used. The colspan and rowspan properties basically allow you to customise the layout and arrangement of data in a table. Along with some CSS code to create a theme for your table, these properties can be used to make a boring meaningless table into an effective table that conveys the information it stores in an effective manner. This tutorial explains how to create a table in HTML and populate the table rows and columns with data. Tables can be used to organise and display a range of information but should not be used for creating a web page layout – you should use divs or other tags for web page layouts. The example table created in the video will look like the one below. We will look at how to apply styles to a table later on but in this tutorial we will focus on creating the headings and adding rows of data. Tables can be used for a range of purposes such as displaying scores for teams on a sports website. They can also be used to display results from a database query. Make sure that when adding a table, you apply some CSS code to give it an effective theme which fits in with the rest of the webpage as the default table style is pretty plain and boring. You might even like to completely remove the border or just use a very light border or background colours on different rows or columns. table – this actually holds the whole table. Your rows and table data should be inside the table tags. The number of td tags used in a row should generally match the number of headings in the table so that you don’t have any columns out of place. Watch the video below and then scroll down the page to see the sample code. There is no CSS code for this tutorial as not styling has been applied yet – this will be in the next tutorial! float property – with the float property, an element can be pushed to the left or right letting other elements on the web page wrap around it. It is often used to arrange images and for div layouts. clear property – with the clear property, we can specify which side or sides of an element that are floating elements aren’t allowed to be. The float property can be set to none, left, right, both, or inherit (inherit from the parent element). Setting the clear property to ‘both’ for a div means that no other floating divs can be to the left or the right of this div. 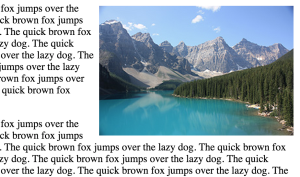 In this tutorial, we will float an image and clear a paragraph. We can float an image to the left or right and clear other content around it. Here is an example of an image floating to the left without clearing the text. Here is an example of an image floating to the right without clearing the text. 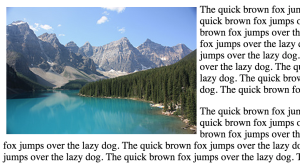 And here is an example of the image floating to the left and the clear property for the paragraph of text set to clear left. Watch the video below and then scroll down to see the sample HTML and CSS code. This tutorial explains how to add rounded corners to divs on a web page. The image below shows an example of a div with rounded corners. You may like to add rounded corners to images, buttons, divs or other elements on your page. They don’t just have to be added to divs. 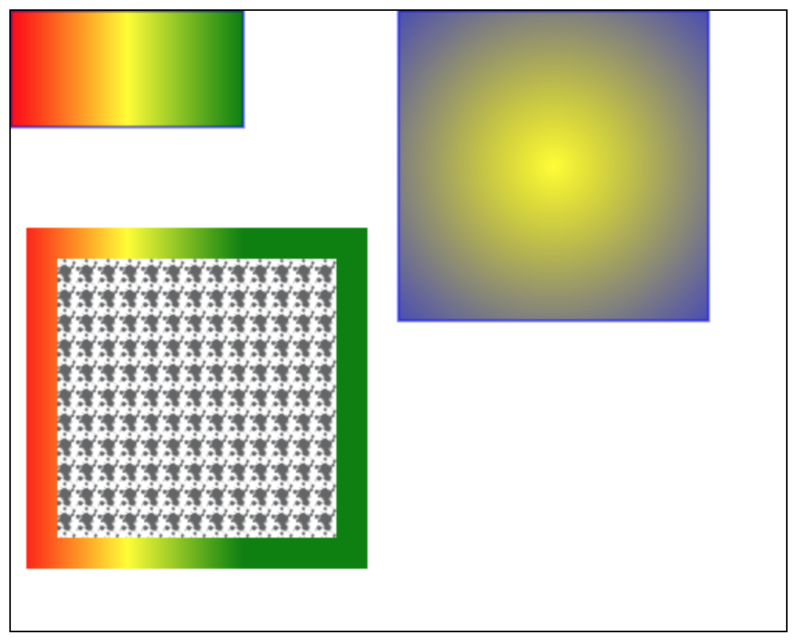 The code below shows how to use linear and radial gradients to fill rectangle shapes.